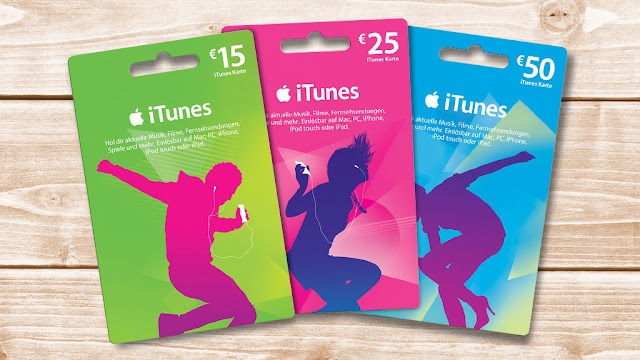 From February 27th to March 4th, a 10% discount is granted to anyone who buys iTunes credit cards at Discounter Netto . The 25 euro card is available for 22.50, the 50 card for 45 euros. Here you will find the nearest net branch. Until the 1st of March Kaufland is also showing up. Here, there are 15 percent bonus credit on iTunes cards, but for the 25s, the 50s and the 100s card. The bonuses amount to 3.75, 7.50 or 15 euros depending on the card value. You will find the bonus as a separate code on the cash note. The next Kaufland can be found here . After the amount has been credited to the iTunes account, credit can be used for all purchases on the iTunes Store, App Store, and Mac App Store. The purchase of eBooks with a reduced credit card is however excluded. On iPhone or iPad open either the iTunes Store or the App Store app, tap there at the bottom of the page, click Redeem and then use the camera or or enter the code manually . Now type the provided code and follow the instructions to complete the process. Shortly afterwards the credit is available and you can purchase music, apps & co.